Easily Create your own Beauty Book! I am a UK Independent Distributor of SheerSense. I love making people feel more comfortable and confident in their own skin. As a distributor of any product, it's really important to be able to show our products. Having lots of product as testers is unrealistic for me at the moment so I made a beauty book through Photobooks. 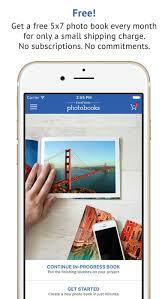 Photobooks is an app related to Freeprints and offers one free photobook per month. For extra pages and higher quality books, you can pay more for the product you really want. I love the quality of the books and how personalised they can be. Even being able to design the front and back cover! Click here to watch the video version of this post. As always, if you have any questions, do not hesitate to reach out and contact me via any of my social media outlets. If you want to order your own product, message me today! P.I.T. STOP - Day 4! P.I.T. STOP - Day 3! P.I.T. STOP - Day 1 and 2! How to Apply Matte Gloss! My In Home Lip and Sip Party Top Tips! Facebook vs In Home Party! My In Home Lip and Sip Party Setup! What's in LipSense Lip Colours? Why 3 Layers of LipSense? LipSense is a WOW Product!